Above we can see Brettel Lane Station looking towards Bierley Hill in 1961 (photo: John Dew). 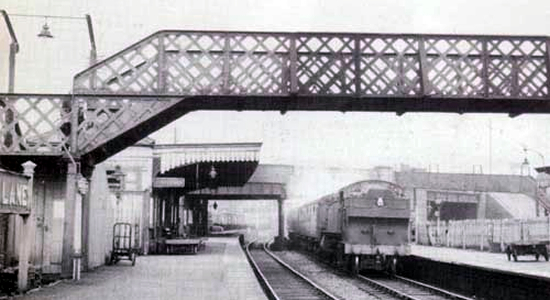 The station opened in 1852 under the Oxford, Worcester & Wolverhampton Railway and is the final station south of Dudley to remain closed as just south of this station the line joins with the GWR Stourbridge Extension on which all stations remain today. Brettell Lane closed in 1962 along with the others on this stretch of track. 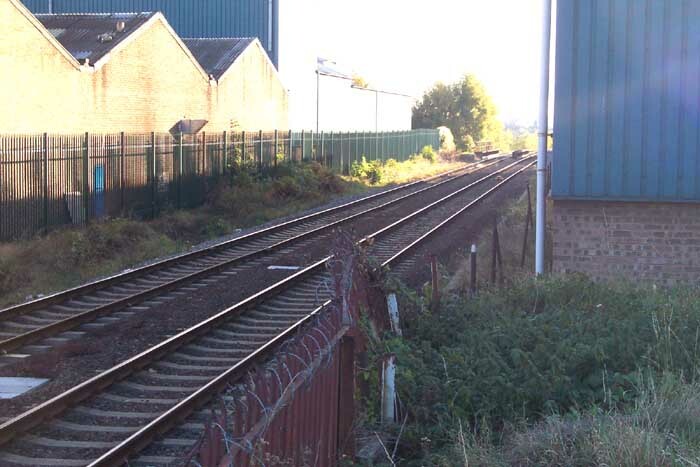 Although the trackbed remains, it is not in use for passenger services but provides a goods link including that to the nearby Moor Street yard. 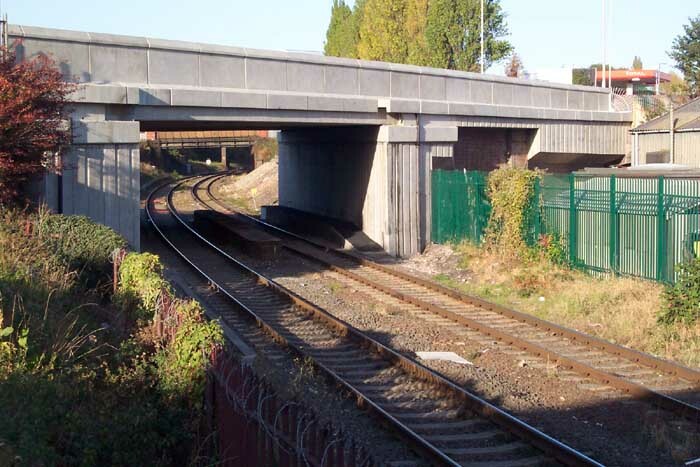 Above-left we are roughly in the spot that used to be occuppied by the station building looking towards the Brettell Lane overbridge which has undergone considerable concrete remodelling since the photograph at the top of this page was taken. Above-right we are again on the site of the wooden station building looking across the track to Station Drive with Brettell Lane to our left off camera. 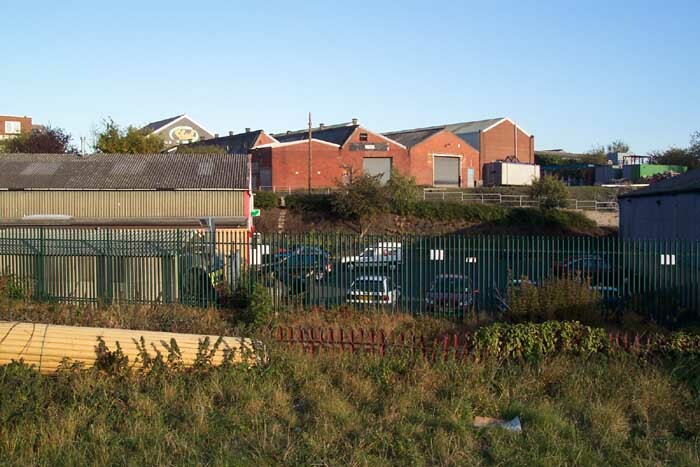 The area ahead is now occuppied by the Breener Industrial Estate but once housed various station outbuildings and the goods yard. Above-left we are looking down what remains of one of the entrances to the station off Brettell Lane - there are a couple of runs of blue brick and various other clues that give away its prior function. 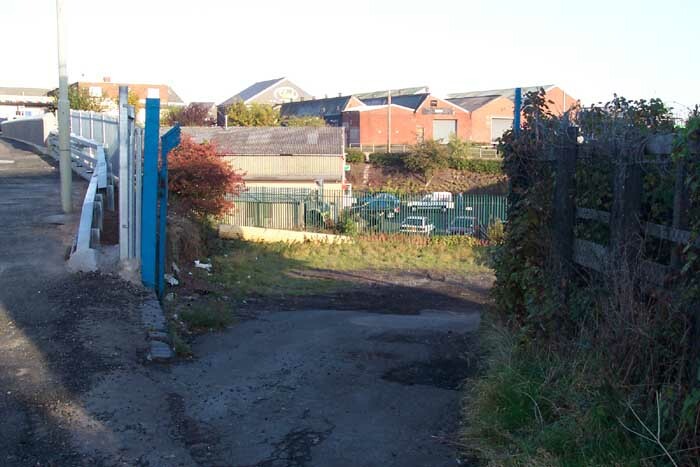 The walkway now leads to a small car park that is roughly on the site of the old station building. 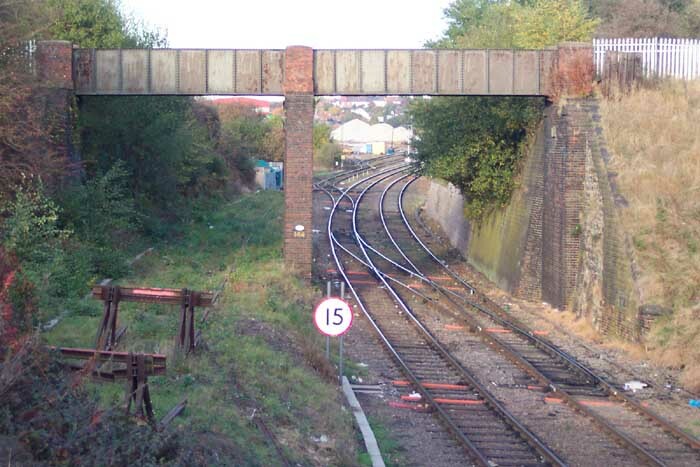 Above-right we are standing on what would have been the Dudley platform but looking towards Stourbridge Junction - the goods yard occuppied the site of the factory units on the other side of the tracks. Above we are looking from Brettell Lane overbridge at the bridge carrying Bull Street over the tracks and through it we can just make out the sidings entering Moor Street yard. Buffer stops can also be discerned on the old wagon sidings that once occuppied this spot. The site itself is interesting for a visit - a walk around Station Drive gives up a few clues as to its past but there are no significant remains, unfortunately, of the station itself.